Similar to the Adjust filters, the color filters are image wide color operations. The Threshold indicates how much other colors will be considered mixture of the removed color and non-removed colors. For example, with threshold set to 255, and the removed color set to white, a 50% gray will be considered a mixture of black+white, and thus transformed in a 50% transparent black. This filter is really useful in separating line art from the white background. 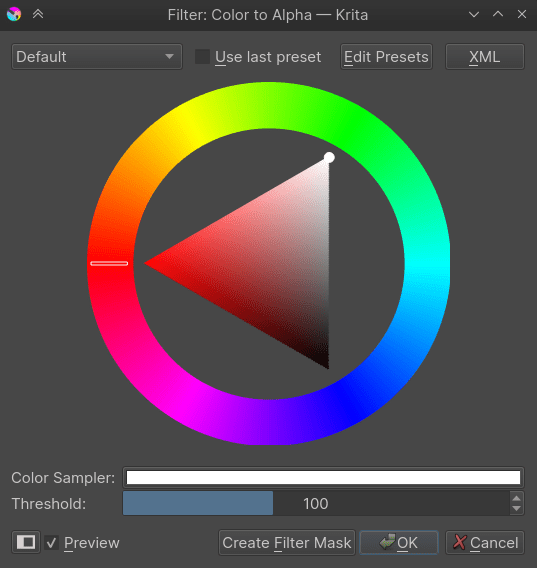 This filter converts the colors of the image to colors from the reference image. 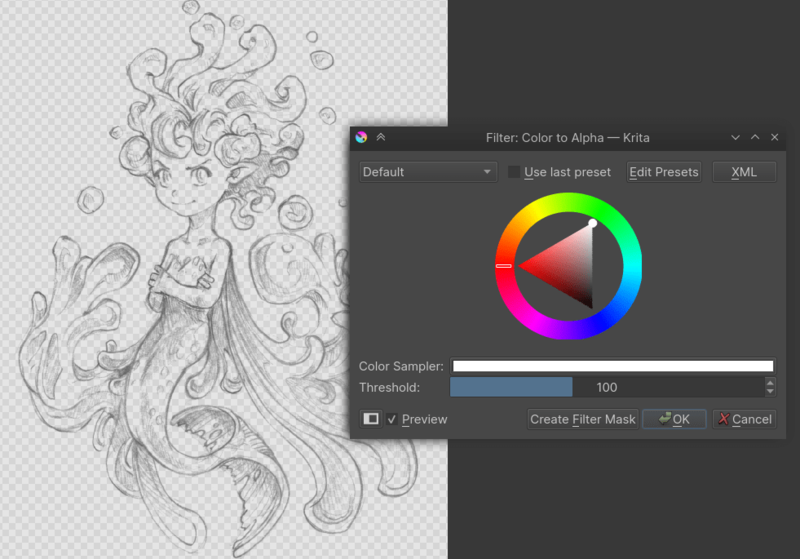 This is a quick way to change a color combination of an artwork to an already saved image or a reference image. This filter checks for all the channels of a each single color and set all but the highest value to 0. This is reverse to Maximize channel, it checks all the channels of a each single color and sets all but the lowest to 0.